The Wizard Duo Cover is the waterproof component of the All-in-Two cloth diaper system. 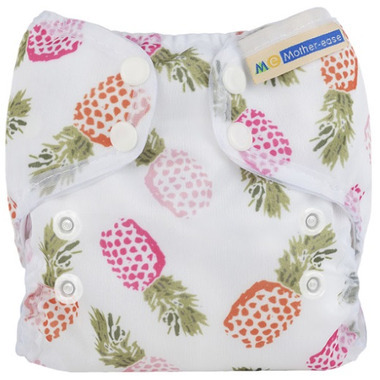 Lightweight, waterproof and available in Newborn, and One Size (matching the absorbent Duo Inserts) to provide a leak-free barrier between your babies cloth diaper and their clothing! One Size size fitting from 10 to 35 lbs. The One Size absorbent Duo Insert snaps into the One Size Wizard Duo Cover using 6 snaps. This ensures that the Duo Insert provides a full coverage, to keep the mess where it needs to be and allowing you to reuse your waterproof cover 3 to 4 times before laundering! Adjustable Rise snaps for a customized fit. cute print, a little thinner than I expected, however so far it has held up well.